The following (multimillion-dollar) news item was nearly missed near the back of Friday’s newspaper. Dunedin City- Mudtanks cleaning contract- Fulton Hogan- Christchurch City Council, Delta, dual payments to mudtanks cleaning truck. 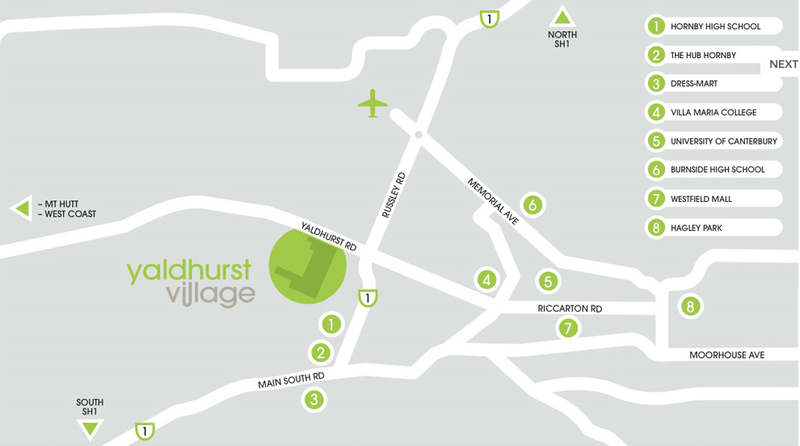 Yaldhurst- Delta- DCC- Christchurch City Council. Oh, what a tangled weave, when first we practice to deceive! What warped and torturous treatment the ratepayers and caveators at Yaldhurst Subdivision have received from the Developers and CCC Staff. The relationship between Delta Utility Services Ltd and the Developer(s) is “intriguing” and has been for a very long time. On Sunday evening (23 July 2017) Yaldhurst Subdivision resident and caveator Colin Stokes sent Elizabeth Kerr copy of an email letter he has provided to the Mayor of Christchurch and the Christchurch City Councillors as well as CCC’s lawyer and their chief executive in advance of the Council meeting to be held on 27 July. The letter was Cc’d to the other affected residents and caveators at the Subdivision, and to Clark Boyce Lawyers, Christchurch. Note: the complex setout of the letter by a series of bullet points and numbered sections is reset here in a PDF document for clarity (7 pages), by whatifdunedin. Any typos are the writer’s own. All email addresses have been removed. The original email has been archived by whatifdunedin. New post sometime tonight/tomorrow early morning. Just been informed the residents have also been dealing with some dickbrain treatment from NZTA, on top of everything else – that quite apart from the Developer/CCC attempting to landlock the residents’ properties by removing their road access within the subdivision, NZTA threatens to do the same via problematising spine road access into Yaldhurst Rd. Bastards. Elizabeth, have the residents considered or even already gone to the new Ombudsman. He seems like he gets to the nub of things quickly. Guess who is a Regional Director of NZTA. no other than the former CEO of the DCC. J Harland. It doesn’t take much to join all the dots. The Tangled Web. They talk about the tartan mafia. What about the Local Government Tutus. Gurglars, about to load more on the Tutus. Bring it on Elizabeth, strike whilst the iron is hot, let the cat out of the bag, bring down fire and water- wait a minute just fire, you’ve had the water. No good letting the cat out of the bag Gurglars. The new head of local bodies wants to neuter them all. With respect in relation to your email below, the little information that affected resident/covenantors managed to convey in their short deputation pales in significance to the information they provided to the Mayor and Councillors, including through their lawyer, and in writing prior to the meeting and updating since (see also summary attached that was tabled at the 6 July Council meeting). Through our lawyer and personally we have literally begged for an open meeting to explain our side of the covenant and how staff behind closed doors have for years been assisting the developer to make our consented and required parts of the Subdivision Resource Consent impossible. The evidence of this is irrefutable and warrants an investigation. Respectfully, if votes are relying soley on the affected resident/covenantors short incomplete deputations, they will not be fully informed nor balanced. Staffs report did not seek nor consider their views, and relied on the other side, the Developer, to (wrongly) convey it to them. Council staff and lawyers who are and have been brazenly advocating for the developers side for a decade, had as long as they wanted in a public excluded session to discredit the little information we were able to convey. They were able to advocate for the other side without the scrutiny of the residents facts, and for as long as they wanted. – and to do all the above while Council staff and the elected Council refuse requests to meet, discuss and receive information and advice from the affected covenantor/residents and their lawyer. In complete contrast, Council staff sought, received, and adopted the Developers advice and requests, and are advocating for the Developer and for themselves to coverup “errors”, including around stormwater. Further damning, is that legal advice and staff report refers only to completely irrelevant covenants matters such as “no pig farming”, and disturbingly makes absolutely no mention of the resident/covenantors Lot 22 road protected by the covenants (now Road Lot 612 on the consent) [see Noble Investment legal advice following and attached]. *(i.e. nothing to do with staffs “no pig farming” diversion in their report at 5.4). Voting as staff and the developer recommend and want, enables the developer and staff to continue to make the residents parts of the subdivision consent impossible, including their Lot 22/612 road, through no stormwater provision and undersized pipes and basins. 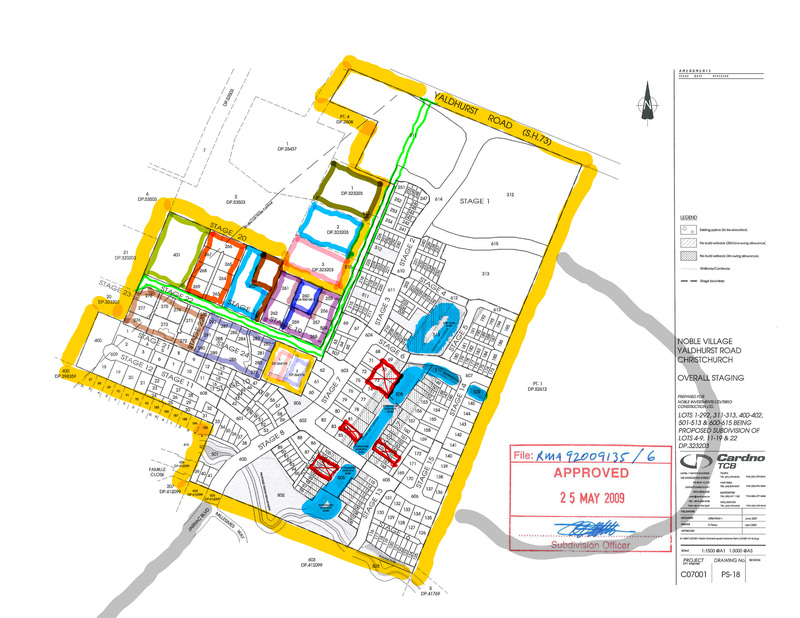 The Council by road dedication to circumvent the covenants is setting itself up to be liable for what the covenant protects, the Lot 22/612 road and the covenantors’ inclusion in the subdivision, including the loss of a minimum 32 sites and development profits thereof. – “7.12.1 (Council) Residual risk rating: is low”. It is only in public “excluded” that Council lawyers are scare mongering the opposite, and strongly advocating for the Developer for Councillors to vote for risky dedication that cheats the residents of their legal interests protected by the covenants. It would seem the public will only be able to judge their Councillors votes by what is on public records (7.11 above), not what they were scare mongered by lawyers advocating for the Developer and Staff in public excluded. Staff appear to be setting up Councillors to take the blame for their “mistakes” in consenting and permitting non-compliances that make effecting the entire subdivision impossible. Council simply needs to enforce the conditions of the consent, specifically around stormwater, and where necessary as the RMA specifically permits and requires (s128), review and add conditions to facilitate compliance with the consent. Doing so enables the subdivision to progress immediately with the residents removing their covenants. The consent holder having provided inadequate stormwater and other information, means the consent holder cannot sue the Council. That Noble/Delta transferred the property to Infinity/Delta makes no difference to the Councils rights under RMA s128. Delta Utility Services Ltd in fact, having progressed (non-complying) stormwater works ahead of Council consents and approvals (and contrary to advice from staff) is liable for “fines and prosecution” under the RMA. Delta/Infinity should not be rewarded for these non-compliances and residents should not be the scape goat for them. As the Mayor didn’t hear the deputations she won’t be at the meeting on Thursday. A pile of email content has arrived but because it is not cleanly formatted as a PDF, I will instead provide here Colin Stoke’s quick overview of the current NZTA situation at Yaldhurst Subdivision. In other words, how the residents’ properties are being landlocked by NZTA, and CCC/Infinity. Sent: Tuesday, 25 July 2017 8:54 p.m. I didn’t realise I hadn’t advised of the additional angst we’ve been under from NZTA. Maybe I thought it was too much. I’ve got a stack of OIA doc’s from them (hard copy) which they are now putting on pen drive for me. The below will give you an idea what we’ve been up against with them. The [CCC Staff recommendation] as it sits in front of Councillors at the moment deceived them [that] it allows the spine road to open up to Yaldhurst Rd. It doesn’t. It refers only to Road Lots 601 and 613. However, on the small plan attached to [the] recommendation and barely noticeable to those that can’t read plans or small print, there is Lot 600 which is the end bit that connects the spine road to Yaldhurst SH73. So, the Councillors were unbeknown voting for a giant cul-de-sac. Even if adding the end Lot 600, if NZTA don’t or can’t close our access to enable the intersection to open (only one access allowed and we have it) they will still be voting for a giant cul-de-sac. If they know this it will favour them NOT voting to dedicate which is what we need to prevent getting screwed. However, NZTA [are] being vague in relation to this, and possibly intentionally so Councillors believe they absolutely can. My apologies if the last set of emails is now causing you concern – it was not intended to. I am proceeding with the OIA request. I am looking into providing a USB stick with the earlier OIA information. I will look into the balance of your email (and earlier email). You know you’ve entered the world of Alice and the Mad Hatter & Co when you see “and consenting proposals for stormwater on land 2m higher than land it was proposed to drain”. Then it goes on (and on) getting worse. The crotchfruit of Vogons are in charge, dozens of them not just the one we knew about – the gem in LTSA’s crown of pricks. It was proposed and consented there by the crook developers and surveyor Cardno, and crook CCC staff to profit the consent holder/ developer and cheat the original landowners from being able to subdivide their remaining land. 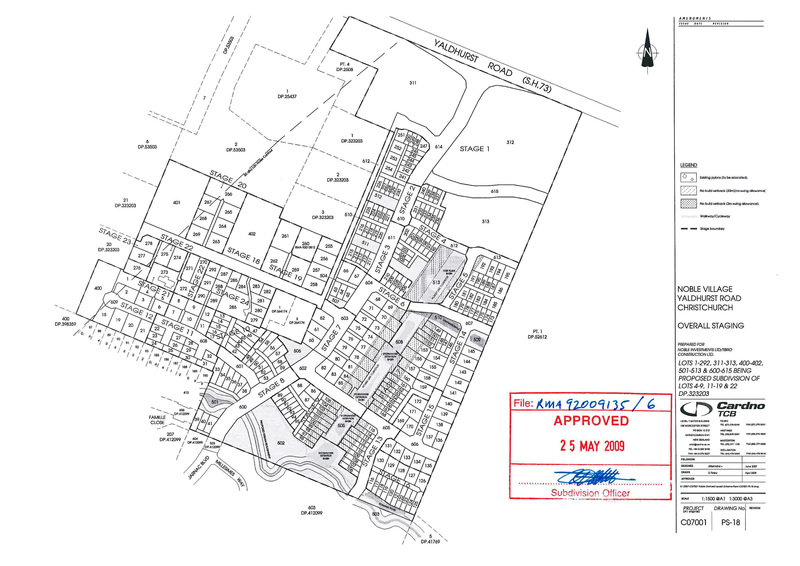 A condition in the subdivision consent to reserve specific lower lying consent holders’ land for stormwater basins for the original owners’ part of the subdivision and roading was removed without application or assessment. The consent on 2m higher land outside the consent area was likewise given without application or assessment. It’s not possible or feasible and they knew that. Council staff that consented this impossible stormwater “solution” are trying to persuade Councillors on behalf of the developer Infinity/Delta to vote TODAY at 2pm to circumvent the original landowners’ Covenants that are registered over all the land to protect their roading and stormwater provision in the subdivision consent. Don’t leave us hanging……how did the vote go? We await word from the Residents.